We here at Coppus Motors know that drivers from all across Ohio deserve the find the right ride at the right price, and our number-one priority is always your satisfaction behind the wheel. If you're currently on the lookout for something special to take you through your Findlay, OH errands or whatever else your day requires, our wide selection of both new and used vehicles will surely get you grinning! Large or small, fast or efficient, family-friendly or solo-centric, our lineup will please nearly anyone's preferences and, with the assistance of our professionals, your on-road happiness could be just around the corner here at Coppus Motors. There's certainly no shortage of choices to consider when you peruse our lineup of new vehicles! Anyone with a love for luxury will be pleased with our selection of new Chrysler models; if you need some serious speed and performance, the new Dodge lineup won't let you down; if you have a family in tow or you like to enjoy some off-road action (or maybe both! ), the new Jeep SUV inventory will provide the adventures you demand; and last but not least, the new Ram pickup truck selection is packed with the power and capability you need to take on the toughest jobs. No matter which most appeals to your needs, you're choosing true excellence every time. 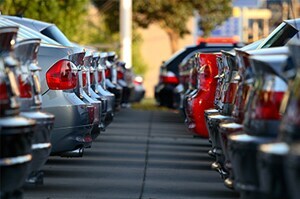 Of course, if you have a smaller budget but no lesser standards for quality, then our enormous lineup of used vehicles will fit the bill; with popular brands like Buick, Chevrolet, Ford, Hyundai, Kia, Mercedes-Benz, Toyota, and others including our own Chrysler, Dodge, Jeep, and Ram, there's practically no end to the driving possibilities! If you're looking specifically for the highest-quality used vehicles we have to offer, our selection of certified pre-owned vehicles are as reliable and exceptional as they are affordable. And if you have a smaller budget but still demand reliability for years to come, our bargain used vehicles under $8,000 will leave your wallet sighing in relief. After you've chosen the ride that gets you the most excited about the open road, we urge you to talk with our finance center staff about an affordable loan or lease before you head back to your Fostoria, OH home. They'll sit down with you and discuss loan and leasing options until you find one that fits your budget; you can even get a jump start on the process by filling out a credit application right on our website! Then, when you arrive at our dealership, you'll be ready to get started right away. Whether you've just visited us earlier today or you've been gone for years, you're always welcome back to our dealership! Specifically, if you're in need of repairs or routine maintenance on your beloved ride, the technicians at our service center will take care of all the hard work. Professionally-trained, factory-certified, and using only the best genuine MOPAR parts, you can rest assured that your vehicle is in skilled hands. Best of all, you can schedule a service appointment online, all from the comfort of your Upper Sandusky, OH home. Of course, there's still much more to learn about Coppus Motors, so drop in to visit us at our Tiffin, OH dealership location today and see the excellence up close and in person! You can even check out our automotive blog to learn about industry news, events in the area, and other information worth knowing. No matter your needs on the road, we hope to see you here in the near future and make your driving dreams a reality. Welcome to Coppus Motors, your trusted Tiffin, Ohio Chrysler, Dodge, Jeep and RAM dealership. You can count on us for all your new and used vehicle needs! We proudly offer our Tiffin, OH drivers a wide variety the latest 2017 vehicles, including the powerful 2017 RAM 1500, the 2017 Chrysler Pacifica and the adventurous 2017 Jeep Cherokee. If a new car isn't what you have in mind, be sure to check out our used cars in Tiffin, OH. Whatever vehicle you have in mind, we're here to help you find your dream car. We are more than just a new and used car dealership here at Coppus Motors. If you need assistance with financing your new or used car, you can count on our financial specialists in our Chrysler finance center. We are here to help you figure out the right financial plan for you. Our Service Center is here for you for years after your initial purchase. Whenever you're in need of a repair or check-up, our talented mechanics are here to help. If you prefer to fix up your car yourself, be sure to check out our Parts Department and browse our inventory of genuine OEM replacement parts. We are happy to provide the Tiffin, OH area with quality new and used cars and auto service and look forward to continuing our tradition of great customer satisfaction!